Myriam J. A. Chancy (1970), is a Haitian-Canadian writer born in Port-au-Prince, Haiti, and subsequently raised there and in Canada. After obtaining her BA in English/Philosophy (4-YR ADV, with Honors), from the University of Manitoba (1989) and her MA in English Literature from Dalhousie University (1990), she completed her Ph.D. in English at the University of Iowa (1994). In 1997, she was awarded early tenure on the basis of two influential books of literary criticism published in the same calendar year, Framing Silence : Revolutionary Novels by Haitian Women (Rutgers UP, 1997) and Searching for Safe Spaces : Afro-Caribbean Women Writers in Exile (Temple UP, 1997). As the first book-length study of its kind in English, Framing Silence was instrumental in inaugurating Haitian women’s studies as a contemporary field of specialization. In 1998, Searching for Safe Spaces, one of the first in the field of Caribbean Studies to argue for exile as a distinct feature of (Anglophone) Afro-Caribbean women’s literature (with a cross-over essay focusing on Marie Chauvet’s novel Amour, Colère, Folie), was awarded an Outstanding Academic Book Award by Choice, the journal of the American Library Association. In 2004, her work as the Editor-in-Chief (2002-2004) of the Ford funded academic/arts journal, Meridians : feminism, race, transnationalism was recognized with the Phoenix Award for Editorial Achievement by the Council of Editors of Learned Journals (CELJ). 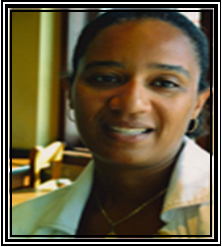 Her third academic book, From Sugar to Revolution: Women’s Visions of Haiti, Cuba and the Dominican Republic, closes a trilogy on Caribbean women’s literature and is should have been published by Wilfrid Laurier UP, Waterloo, Canada, 2012.